But also: CELINE. CHER. Epic. 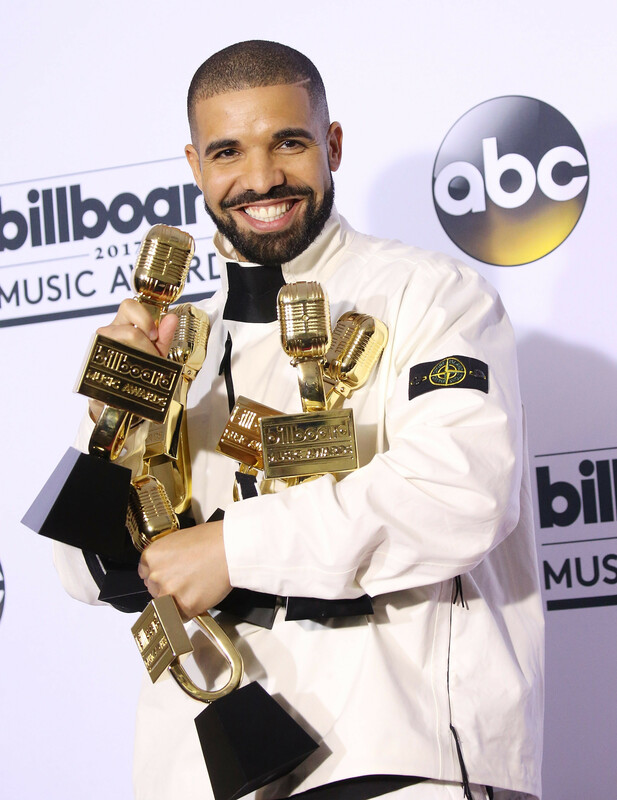 Drake was a high roller in Las Vegas, beating Adele's record for most wins at the Billboard Music Awards. Cher and Celine Dion each reflected on their own iconic careers and amazing songs on Sunday night's awards show, while a moment of silence was held for rocker Chris Cornell, who died Thursday in Detroit. Miley Cyrus delivered an emotional, but low-key performance and Vanessa Hudgens shined as co-host. Rock fans were stunned to learn about the death of rocker Chris Cornell, who was found dead Thursday in his hotel room in Detroit. The lead singer of Soundgarden and Audioslave and leader of the Seattle grunge movement was honoured with a moment of silence during the awards show, which was a shorter than expected tribute to the 52-year-old singer and songwriter. However, Dan Reynolds of Imagine Dragons summed up his career succinctly, noting he was "a true innovator," "a musical architect," "a prolific songwriting" and "a legendary performer." Even Miley Cyrus' family noted the change in demeanour at this year's award show for the former Disney star when her sister Noah Cyrus introduced her "for the first time in years with pants on." Once known for her shocking performances of twerking and dangling naked from a wrecking ball, the singer performed the slow-burning love song "Malibu," without much of her signature in-your-face sexiness. A list of winners in the top categories at the 2017 Billboard Music Awards, held Sunday at the TMobile Arena in Las Vegas. Top Hot 100 song: The Chainsmokers featuring Halsey, "Closer." Top Billboard 200 album: Drake, "Views." Top duo/group: twenty one pilots. Top collaboration: The Chainsmokers featuring Halsey, "Closer." Top country artist: Blake Shelton. Top rock artist: twenty one pilots. Top Latin artist: Juan Gabriel. Top dance/electronic artist: The Chainsmokers. Top Christian artist: Lauren Daigle. Chart achievement award: twenty one pilots.